Nicki is another photographer here in NYC; she and I first bonded in 2012, and it’s emerged over the years that we have a shared dream: we both really adore travel, and love book destination weddings, too. Photographing a wedding in the tropics requires a different approach than the 40-something degree latitude we’re used to in New York (yes, I’m a huge latitude and longitude nerd); the light goes from harsh to gone fast because of the curve of the earth, and where we get “golden hour” right before and a little after sunset in New York, we get “golden 35 minutes” before the sun sets, and then it plunks below the edge of the planet and is gone right away. It takes talent and practice to get gorgeous portraits in this very different light, so we headed to Little Corn Island in Nicaragua for a once-in-a-lifetime workshop experience. This photo was how I actually saw most of the island, from under the bridge of my black straw sun hat. There’s a good reason it’s less expensive than other places in the region: you need to be super hearty to come from New York City to a place where there isn’t air conditioning and the electricity shuts off between six am and one pm every day, but we were up to the challenge. We stayed at Las Palmeras. I promised the proprietor I’d give her a glowing review on my blog, and here it is. Honestly, we partially selected it because it was painted bright pink! We were delighted at service and accommodations. It was also the perfect compromise for us. Nicki would have slept in one of the $20 per night shacks on the beach if I had been so brave, and there are really fancy rooms twice what we paid the Las Palmeras that would have been nice, but not affordable. At $60 per night - so $30 for each of us - we felt like we were getting the best of both worlds: rustic and affordable, but not TOO rough. Plus, the hammocks were a dream. Highlights: I saw a shark! It was a nurse shark, about six feet long, that swam along to some quiet, warm, shallow waters, then had a nap. You can see in the photo below that its fin was sticking out the water Jaws-style. The boy in the first photo is the little local who pointed it out to me, sweetly calling me "Lady" and practicing his English skills. We also saw lots of different wildlife: various tropical birds - my fave being the cutie parrot pictured below that was hanging out in the window of someone’s beach hut, loads of teeny lizards (including one I bravely removed from our shower with my bare hands at six in the morning), a big iguana that was in the same spot most days as we walked by and gave us side-eye as we walked past, crabby crabs scuttling along the beach, and lot of fish, including two the size of my hands that scared the heck out of me by attacking the silver charm sewn onto my bathing suit bottom. Nicki doubled over laughing at me as I shrieked and stumbled backwards out of the ocean, but then they turned to eat her, too, in one of the best moments of sweet, sweet justice ever. We had one really funny "No matter where you go, there you are." moment during late breakfast, when we encountered the classic "should we eat eggs or french toast for breakfast?" We ended up splitting both, because the coconut French toast at Rosa's is not to be missed. 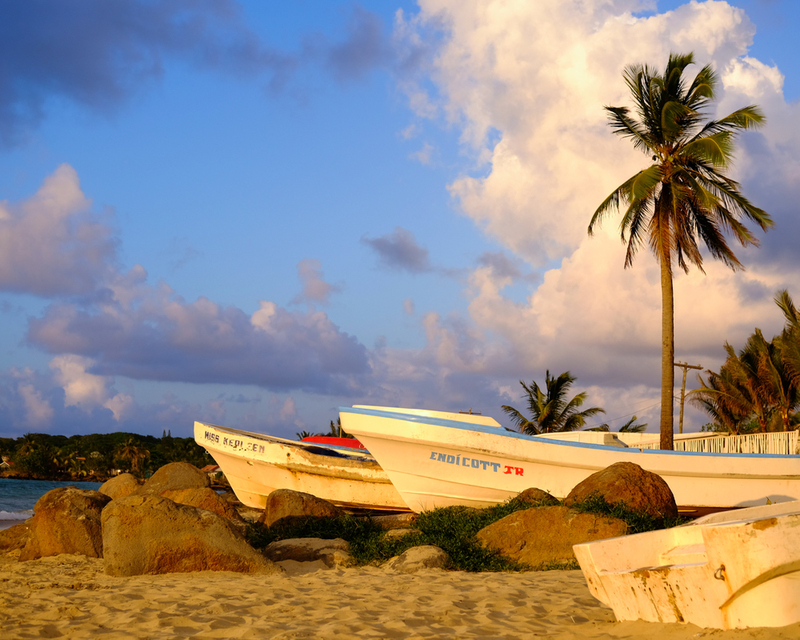 So the big question: should you elope to Little Corn Island? I'm going to say YES, with a caveat. If you're having a wedding just for two, or just for a handful of younger/adventurous friends who are up to the rough-watered 30 minute boat ride from Big Corn Island, it would be a great spot to say "I do". (You might want to take care of legalities at home first.) It's more affordable than a lot of tropical destination wedding locations would be, so most of your friends will be able to go with you. Maybe not if you're hoping Grandma could come, though. Should you take me with you to photograph it? Hell yes. Between the friendly locals, the fresh fruit, the cheap beer (Toña!) and the other mellow travelers, I'm already daydreaming about my trip back, and I've scouted all the perfect spots for your wedding portraits.